WHOLE COOKIE – WHOLE LOVE – WHOLE COMMUNION: I WILL ASK MY READERS TO PRAYERFULLY REFLECT UPON THE CONCEPT OF HOLY COMMUNION. THE SACRAMENT KNOWN AS EUCHARIST DOES NOT ESTABLISH THE TRADITION TO CELEBRATE THE DIVINE LAW OF LOVE. I will ask my readers to prayerfully reflect upon the concept of Holy Communion, the Sacrament known as ‘Eucharist’ and it does not establish the tradition to celebrate the Divine Law of Love that replaced the ‘TORAH’. 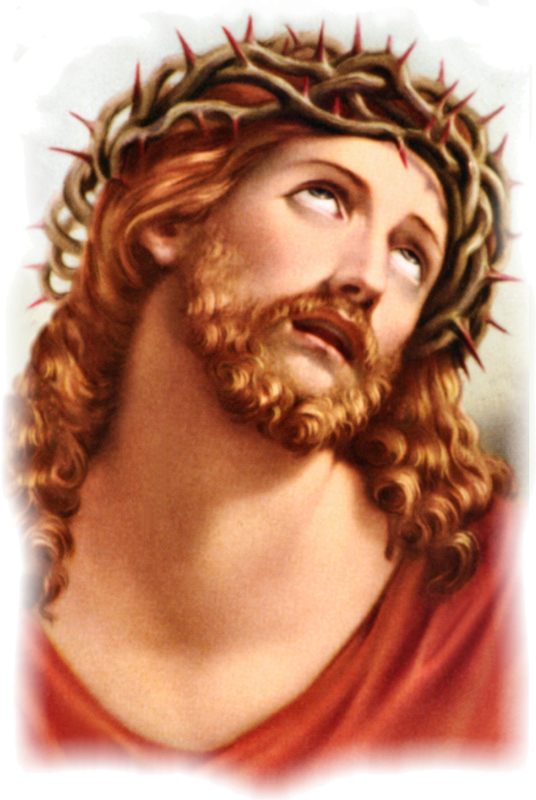 Judas Iscariot, the twelfth disciple of Jesus had participated in Lord’s Supper and betrayed the Lord just after receiving the consecrated bread and wine directly shared by the Lord. If only Judas had loved the Lord, the betrayal would have been impossible. The Holy Communion is incomplete, is imperfect and is not Wholesome until the Command to Love One Another is fulfilled. Hence, I want to make a fundamental distinction between Holy Communion and “Whole Communion” in which the “Whole Sacrament” is received to reflect man’s participation and adherence to the Law of Love. 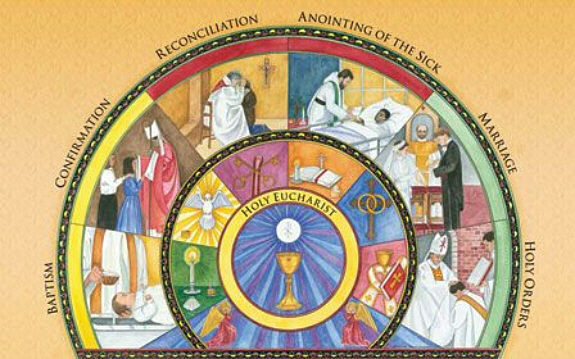 I want to share the concept of ‘Whole Communion’, a “Whole Sacrament” in remembrance of Jesus Christ and His Ministry on Earth. WHOLE COOKIE – WHOLE LOVE – WHOLE COMMUNION: SACRAMENT IS AN OUTWARD SIGN OF SOMETHING SACRED. CATHOLICS RECOGNIZE SEVEN SACRAMENTS AND PROTESTANTS RECOGNIZE BAPTISM AND COMMUNION. NONE OF THEM RECOGNIZE THE COVENANT OF LOVE. The term ‘Sacrament’ refers to an outward sign of something sacred. Roman Catholics, the Orthodox, and the Anglicans may believe in seven Sacraments; 1. Eucharist, 2. Baptism, 3. Confirmation, 4. Penance or Reconciliation, 5. Anointing of the Sick, 6. Marriage, and 7. Holy Orders. Protestants recognize two Sacraments, Baptism and Holy Communion. None of these sacred rituals and observances are directly related to the two Greatest Commandments proclaimed by Jesus Christ. WHOLE COOKIE – WHOLE LOVE – WHOLE COMMUNION: JESUS CHRIST CELEBRATED HIS LAST SUPPER THE NIGHT BEFORE HIS CRUCIFIXION. HE ESTABLISHED A NEW COVENANT SO THAT A NEW RELATIONSHIP COULD BE CREATED BETWEEN GOD, CHRIST, AND MAN. JUDAS, THE TWELFTH BETRAYED THE LORD FOR HE DID NOT PARTICIPATE IN THE NEW COVENANT OR COMMAND TO LOVE ONE ANOTHER. 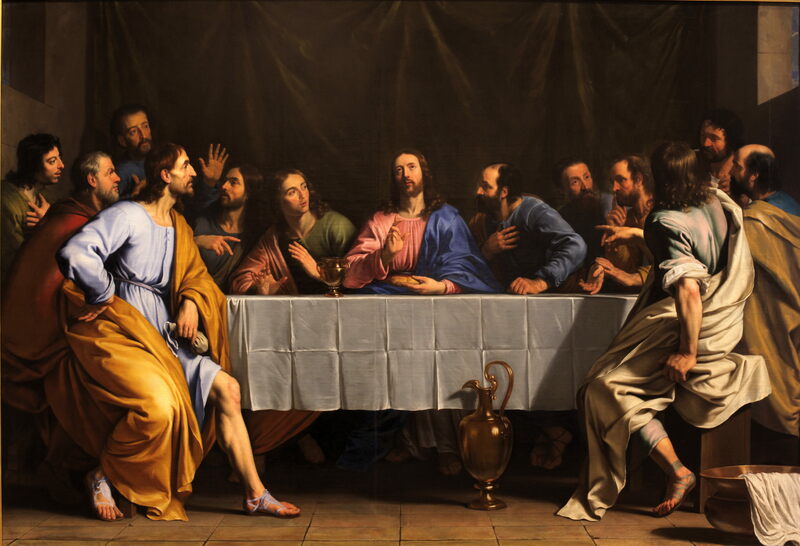 Lord’s Supper was the Last Supper that Jesus had shared with His twelve disciples on the night before His Crucifixion. Christ offered Himself to God as a sacrifice for sin so that a new relationship could be created by God between Himself and the redeemed community of believers. Lord’s Supper is a proclamation of the Lord’s death as a Sacrament until He returns to Earth. It could be correct to claim that Lord’s Supper is the Memorial of a Sacrifice. When believers receive the consecrated bread and wine, their participation is not a repetition of the Sacrifice of Christ made at Calvary. The act of sharing bread and wine which are used as symbols of Body and Blood of Jesus, will not constitute a participation in the self-offering that Christ has made. Virtually all Christian Churches celebrate the practice of Holy Communion and the ‘Mass’ is held as a real though mystical reenactment of the Christ on the Cross and in expectation of the arrival of the Kingdom of God in its fullness. Churches believe that the recipient of the Sacrament is united mystically with Christ by simply receiving the consecrated bread and wine. 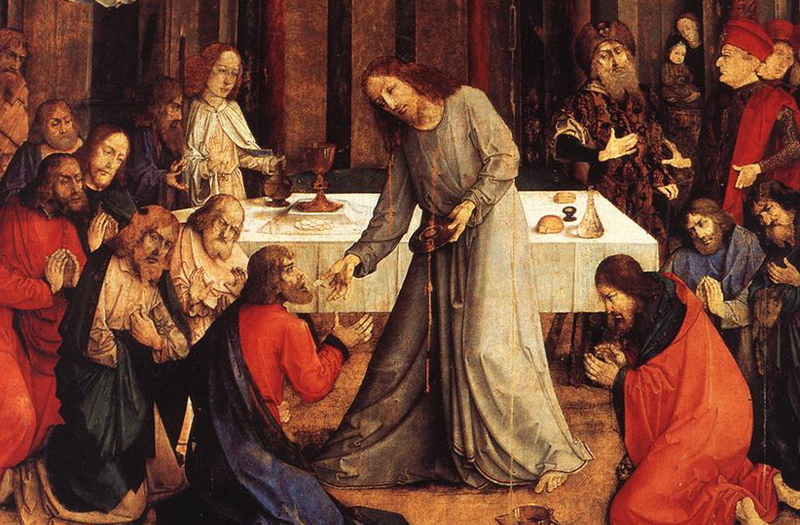 Judas participated in the Holy Communion and received the sacrament directly from the hands of Jesus but there was no mystical union between the recipient and the Christ. In my view, the bread and wine partaken in remembrance of Christ’s atoning death cannot be viewed as man’s participation in the Sacrifice and man has no ability to offer himself to atone his own sins. Between man and God, the relationship demands a new basis, a new Law, and a new Covenant. WHOLE COOKIE – WHOLE LOVE – WHOLE COMMUNION: THE CELEBRATION OF LORD’S SUPPER, EUCHARIST, MASS, AND HOLY COMMUNION DEMANDS THE ESTABLISHMENT OF A NEW RELATIONSHIP BETWEEN GOD, CHRIST, AND MAN, A RELATIONSHIP THAT USES LOVE AS THE BOND THAT UNITES ALL. THE FULFILLMENT THAT JESUS DESIRES IS THAT OF THE FULFILLMENT IN THE KINGDOM OF GOD. In the New Testament Book of LUKE, Chapter 22, verse 18, Jesus has explicitly stated: “For I tell you I will not drink again of the fruit of the vine until the Kingdom of God comes.” In my view, there is no fulfillment of Communion without the fulfillment of the Law of Love that demands man to Love One Another. WHOLE COOKIE – WHOLE LOVE – WHOLE COMMUNION – WHOLE SACRIFICE: COMMUNION IS THE ACT OF SHARING ONE’S THOUGHTS AND EMOTIONS WITH ANOTHER OR OTHERS. MAN CANNOT PARTICIPATE IN THE ACT OF SELF-SACRIFICE TO ATONE HIMSELF. MAN HAS TO FIND FULFILLMENT IN CHRIST’S ACT OF WHOLE SACRIFICE FOR HE BORE THE SINS OF MANY AND MADE INTERCESSION FOR ALL TRANSGRESSORS. The term ‘Communion’ means the act of sharing one’s thoughts and emotions with another or others. It describes an intimate relationship with deep understanding. In the context of the ‘Whole Sacrifice’, the Christ who bore the sin of many, and made intercession for all the transgressors, the term ‘Communion’ must be used in a celebration that is more significant than that of professing the same faith and practicing the same religious rites. The New Testament Book of LUKE, Chapter 22, verses 7 to 23 describe the Last Supper on the night before the Crucifixion; “And He said to them, ‘I have eagerly desired to eat this Passover with you before I suffer. For I tell you, I will not eat it again until it finds fulfillment in the Kingdom of God’.” The ‘Whole Sacrifice’ derives its meaning and purpose in Christ’s expectation of fulfillment in the Kingdom of God. 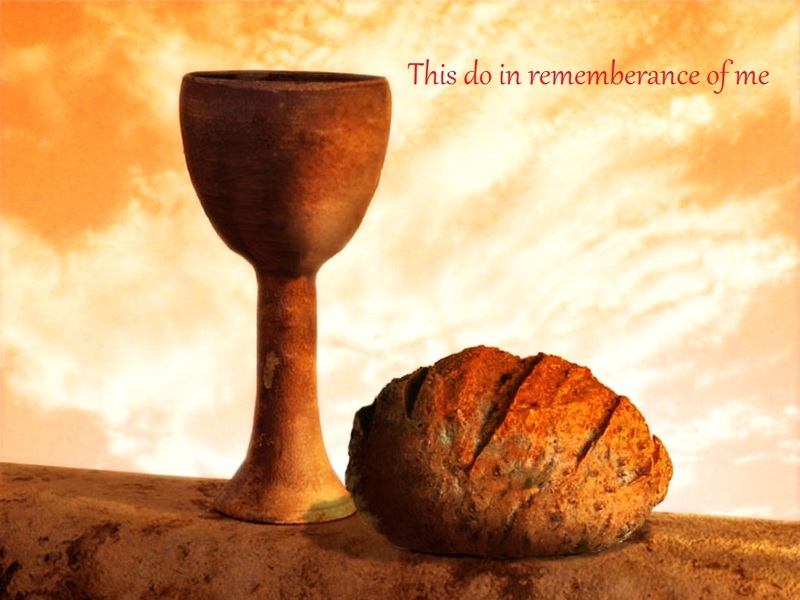 The instructions for Lord’s Supper are shared in the New Testament Book of 1 CORINTHIANS, Chapter 11, verses 17 to 34; “For whenever you eat this bread and drink this cup, you proclaim the Lord’s death until He comes.” The New Testament Book of ROMANS, Chapter 12, verse 1 describes the concept of ‘Living Sacrifice’; “Therefore, I urge you, brothers, in view of God’s mercy, to offer your bodies as living sacrifices, holy and pleasing to God – this is your spiritual act of worship.” In my view, this spiritual act of worship is about the two Greatest Commandments that Jesus proclaimed. The praise of God, and the worship of God demand the following of Command. The fulfillment of ‘Whole Sacrifice’ demands a Living Sacrifice, a new spiritual act of worship by following the Command to Love One Another and seeking relationship with God through the Love of Christ. WHOLE COOKIE – WHOLE LOVE – WHOLE COMMUNION: LOVE IS THE BOND THAT UNITES ALL VIRTUES. LOVE IS THE BASIS FOR THE BONDING BETWEEN MAN, CHRIST, AND GOD. LOVE DOES NO HARM TO ITS NEIGHBOR. THEREFORE LOVE IS THE FULFILLMENT OF THE LAW. 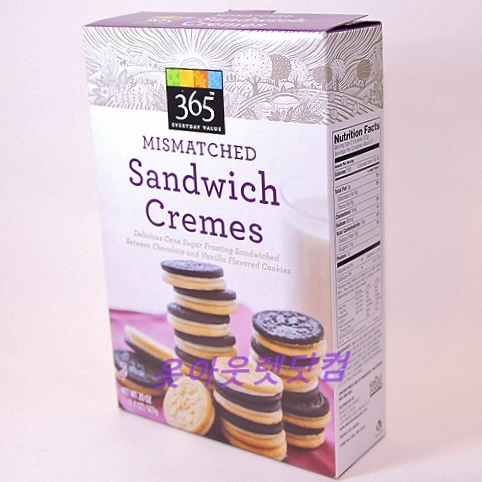 THIS WHOLE COOKIE CALLED 365 EVERYDAY VALUE MISMATCHED SANDWICH CREMES WILL SYMBOLIZE WHOLE LOVE THAT BRINGS UNITY BETWEEN MEN, CHRIST, AND GOD. The New Testament Book of ROMANS, Chapter 13, verse 8 reminds, “Let no debt remain outstanding except the continuing debt to love one another, for he who loves his fellow-man has fulfilled the Law.” Similarly, ROMANS asks us to seek the fulfillment of the Law which has specifically taken the place of the ‘TORAH’. “Love does no harm to its neighbor. Therefore love is the fulfillment of the Law.”(Romans:13:10) For the mystical union between man and God, the requirement is that of the fulfillment of the Law. I discovered the meaning of Love, the fulfillment of the Law when I had purchased the 365 Everyday Value Mismatched Cremes at Whole Foods, Ann Arbor on Wednesday, July 30, 2014. The Creme symbolizes God’s essential Nature called Love, the Love that brings Unity by developing bonding relationships. If I am the Creme, I will inherit the Nature of Love. If I am the Creme, there is Unity between me and God through Christ and this bonding is symbolized by the Vanilla Cookie. The Command to Love One Another is symbolized by the Chocolate Cookie to which I am attached because of the ‘Whole Creme’ that symbolizes God’s Essence or Nature called Love. In remembrance of Christ’s Whole Sacrifice, I shall profess ‘Whole Love’ by celebrating the Sacrament of ‘Whole Communion’ while I eat and share these ‘Whole Cookies’.